As right as rain - Feeling fine and healthy. Take a rain check - Ask to rearrange a meeting. Come rain or shine - no matter what the weather/situation. On cloud nine - extremely happy. 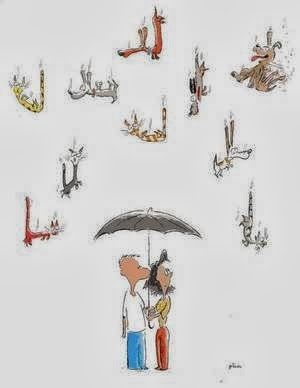 Rain on my parade - if someone rains on your parade, they ruin your pleasure or plans. Throw caution to the wind - forget all your commitments and do something crazy. Steal my thunder - if someone steals your thunder, they take the attention away from you.